Century 21 Covered Bridges Realty, Inc. in Bloomsburg recently presented awards to Karen Roadarmel and Carla J Farley. Roadarmel was recognized as the Sales Agent of the 3rd Quarter of 2015. She was also the Sales Agent of the 1st Quarter of 2015. Roadarmel has been a full-time Realtor for 15 years and is consistently a multi-million dollar producer. 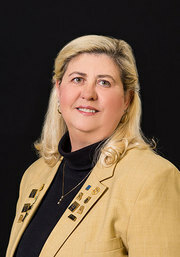 A member of the Central Susquehanna Valley Board of Realtors (CSVBR), she has been recognized repeatedly for her outstanding superior client service as evidenced by her International Century 21 Quality Service Producer awards from 2009 through 2014. Roadarmel stays up-to-date with the latest technology and real estate education and has earned the CRS, GRI, and AHWD designations and certifications. In addition to servicing the real estate needs of her clients, she enjoys spending time with her family and attending her grandchildren’s sporting events, as well as racing and camping. She resides in Mainville with her husband, Jack. Farley has been a full time licensed agent since 1988 and a multi-million dollar producer year after year. 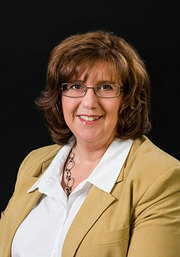 She also has earned her ABR designation and was the top listing and selling agent for the past 20 years at Sorge Associates Realty, Inc. of Bloomsburg prior to the recent company merger with Century 21 Covered Bridges. Being a veteran Realtor in the Columbia County marketplace and a top producer, she has helped buyers and sellers and their families through the generations, assisting parents, grandparents, sons and daughters. The majority of Farley’s clients are past clients and personal referrals, which are her greatest accomplishments and achievements. Providing quality service is her top priority. A member of the CSVBR, she has served on the Grievance Committee and is currently actively servicing on the Public Service/Community Service Committee. Farley is very active in her church with Sunday school and community outreach projects. She lives in Mifflinville with her husband, Doug and has two children: Maiah and Colton.